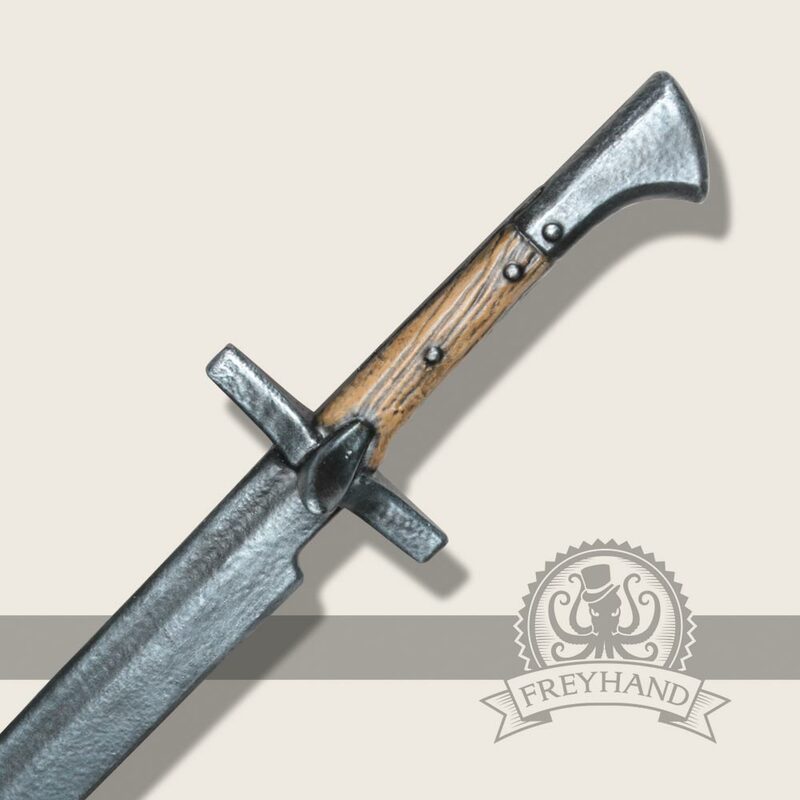 A classical „langes Messer“ that was built according to historic antetypes. 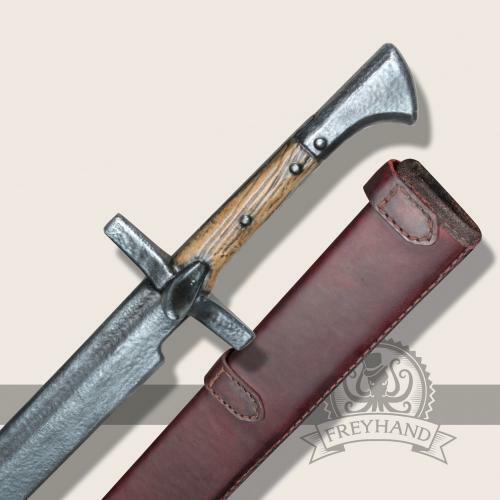 It is one-edged and has a short recurve towards the end of the blade. 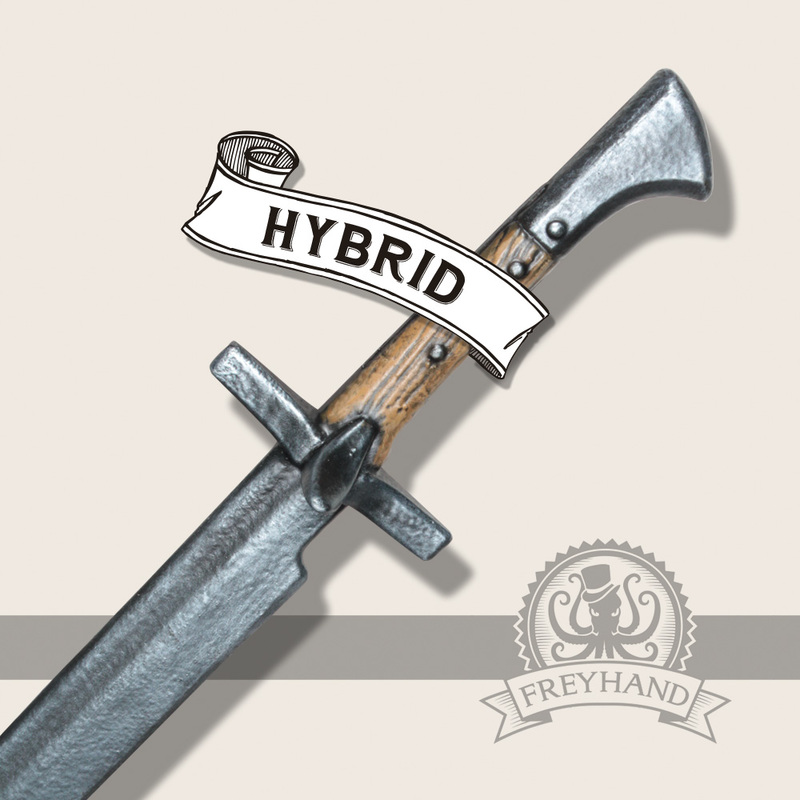 It is mentioned in many historical fencing books and is described as an effective weapon, popular amongst not-noble people. 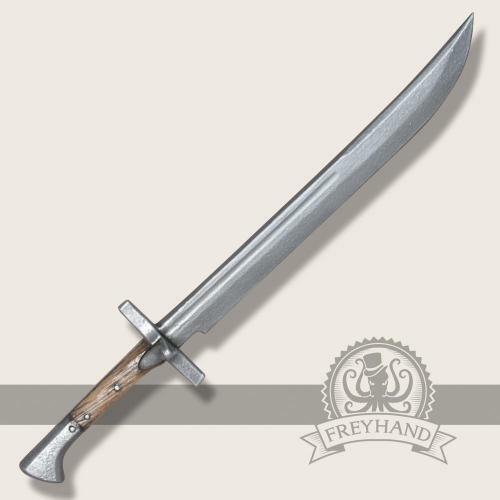 This variation has a considerably shorter blade and is used more like a short sword. 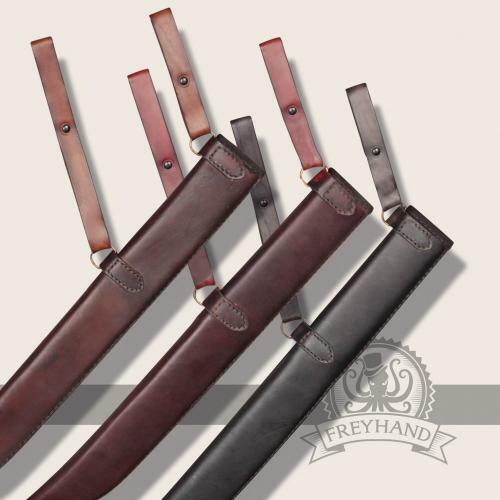 It is ideal for players who do not fight so often but do not want to be unarmed. 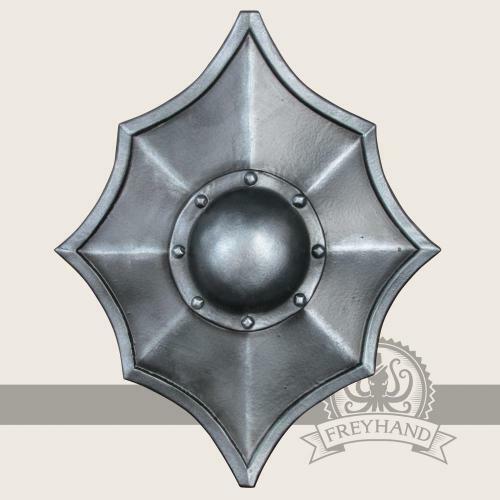 The standard position for the guard pin is on the right hand side, which means for right-handed people. If you prefer the left hand side please, select this in the section below. Mit welcher Hand möchtest du das Messer führen?